A great place to learn about what is up to date and new and hot and hip in this city that is the LV! Plus a pet friendly zone. Honoring the culture, lifestyle and art of the samurai warrior through centuries of Japanese history, Bellagio Gallery of Fine Art (BGFA) will unveil its new exhibit, Samurai: Armor from the Ann and Gabriel Barbier-Mueller Collection, on November 3. 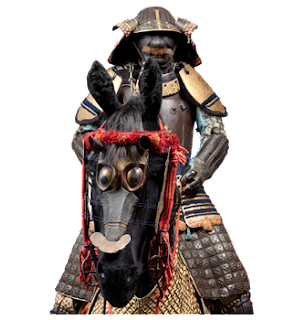 The exhibit includes more than 50 pieces of samurai armor from the Ann and Gabriel Barbier-Mueller collection, and will feature full suits of armor, helmets, weapons, horse armor, masks and more. The exquisitely crafted pieces represent the evolution of the samurai warrior’s appearance and equipment spanning 600 years from the 14th-19th centuries. During this time period, Japanese society recognized the advancement of the samurai as a great honor: from archers and swordsmen to an elite class of warriors respected for their military skills, refinement and intellect. 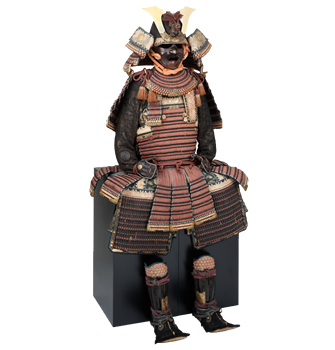 Samurai: Armor from the Ann and Gabriel Barbier-Mueller Collection will feature objects that were used both for combat and ceremonial purposes. The pieces convey the complete story of the samurai, a part of the intellectual Japanese elite who not only fought in battle, but also practiced poetry and calligraphy. This exhibit encompasses the entirety of samurai history to allow the visitor to see the evolution of armor as warfare progresses from bows and arrows to swords and guns. Intricate pieces such as lacquered metal helmets adorned with crests, and delicate, detailed armor capable of protecting the samurai in brutal combat, will be on display. Inside the gallery, visitors will experience the masterful craftsmanship of each object and the historical context of the samurai as they walk through this historical epoch in Japanese culture. “It is the combination of art and armor, the boundless creativity of the objects’ forms, and the aesthetics used by these fierce and cultivated warriors that drew us in to assemble our collection," said Gabriel Barbier-Mueller. BGFA’s current exhibition, I Am The Greatest: Muhammad Ali, will close September 30 to make way for Samurai: Armor from the Ann and Gabriel Barbier-Mueller Collection. The new exhibit will be on view November 3, 2017 through April 29, 2018. Tickets to BGFA are $18 for adults; $16 for Nevada residents, seniors 65 and older, and students, teachers and military with valid ID. Children 12 and younger are free. For groups of 10 or more, the gallery offers special pricing of $12 per person. For additional information, call (702) 693-7871 or (877) 957-9777, or visit bellagio.com/bgfa. BGFA is open daily 10 a.m. – 6:30 p.m. Last admissions are sold 30 minutes prior to closing. Guests may enjoy complimentary daily docent tours at 2 p.m., and private docent tours are available at an additional cost. "The Information in this weblog is provided "AS IS" with no warranties and confers no rights. This weblog does not represent the thoughts, intentions, plans or strategies of my employer. It is solely our opinions. Inappropriate comments will be deleted at the author's discretion. All code samples provided "AS IS" without warranty of any kind, either express or implied including but not limited to implied warranties or merchantability and or fitness for a particular purpose. Also this blog is for my own personal ideas, views and purposes."